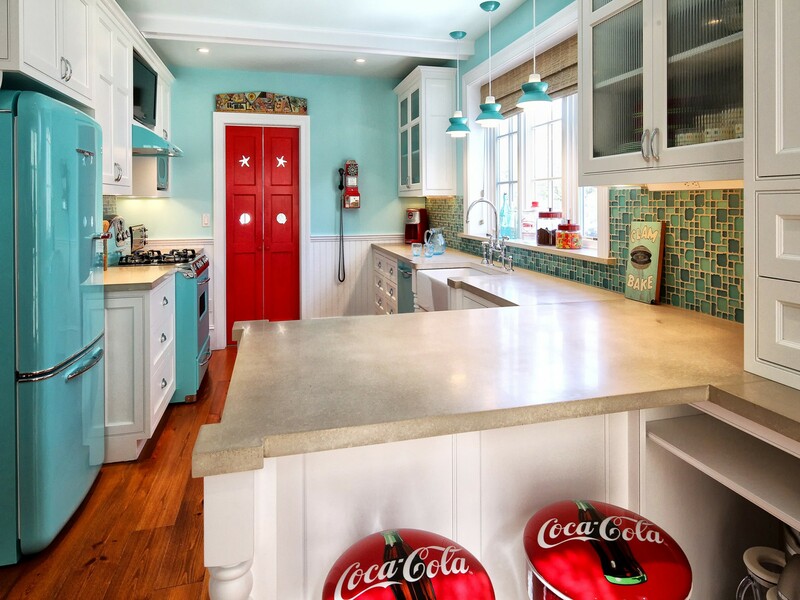 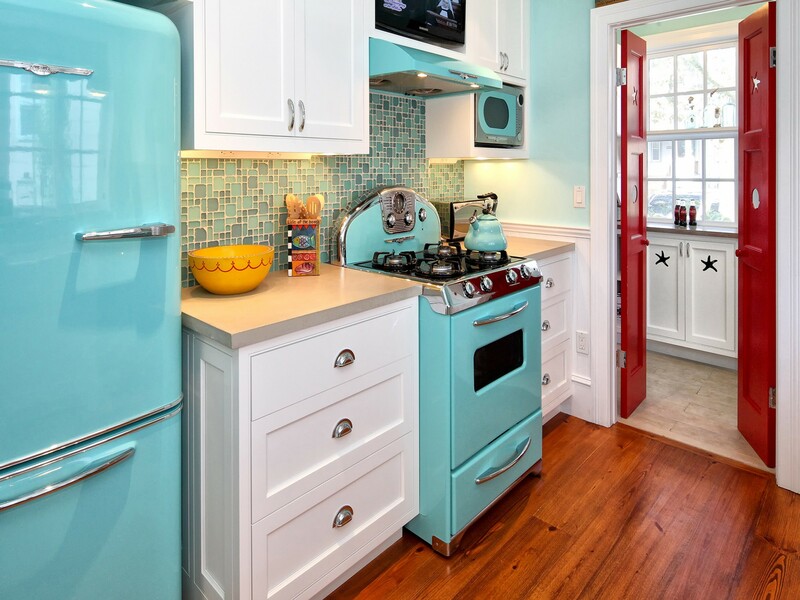 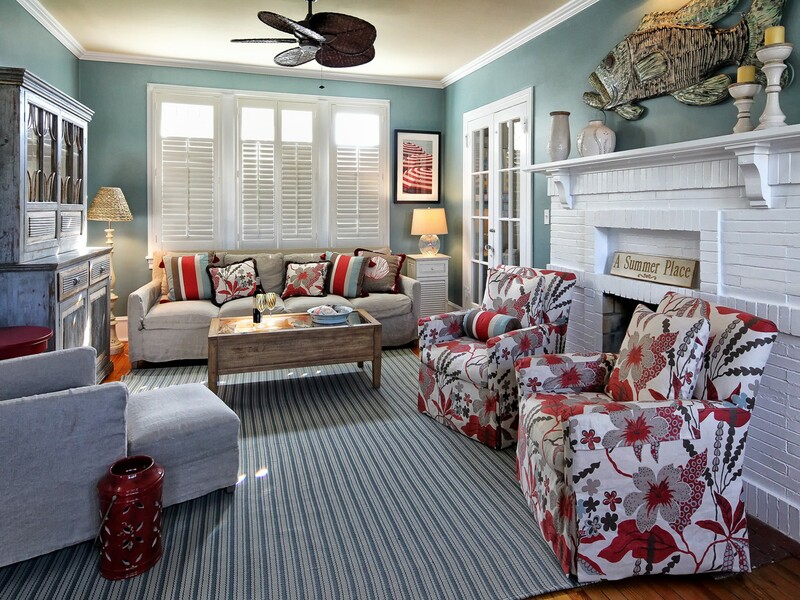 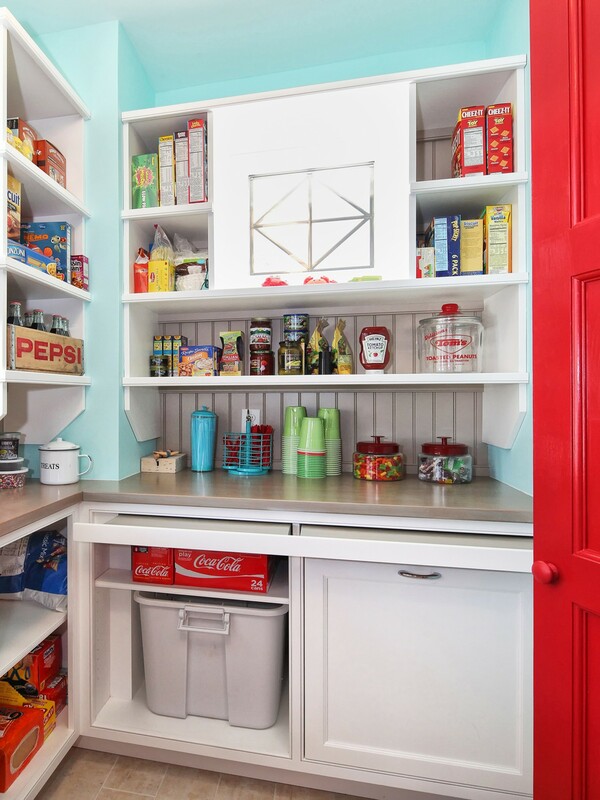 This colorful renovation and addition to a 1920’s colonial features a new kitchen wing with custom cabinets, concrete countertops, tumbled glass backsplash, robins egg blue “Elmira” appliances and a multi-purpose laundry room and pantry packed with many storage elements. 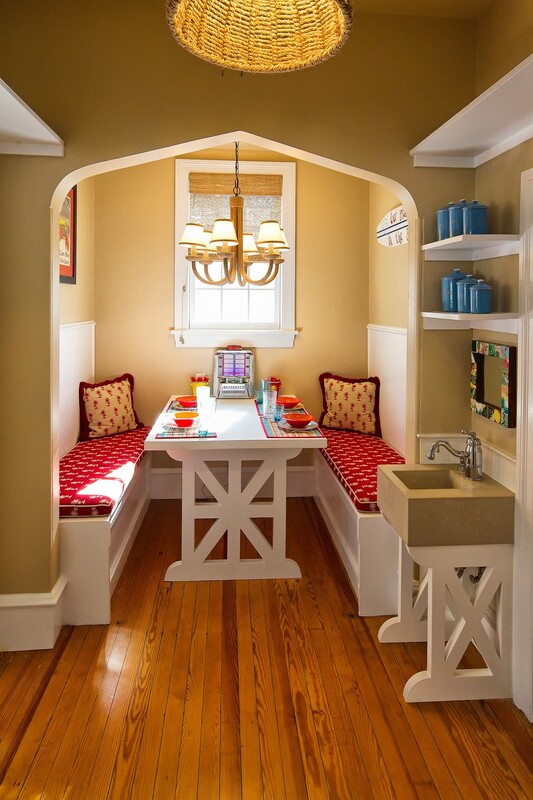 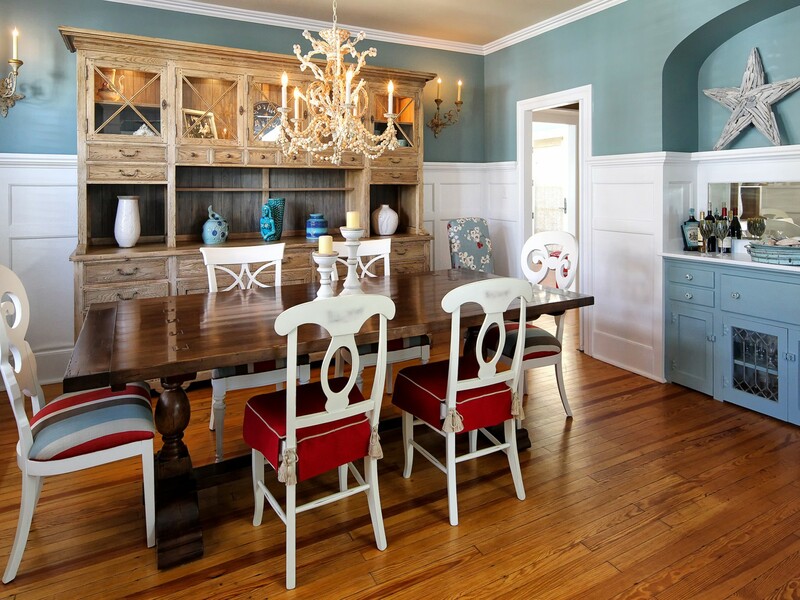 The vintage breakfast nook has yellow pine floors which are carried though the new addition. 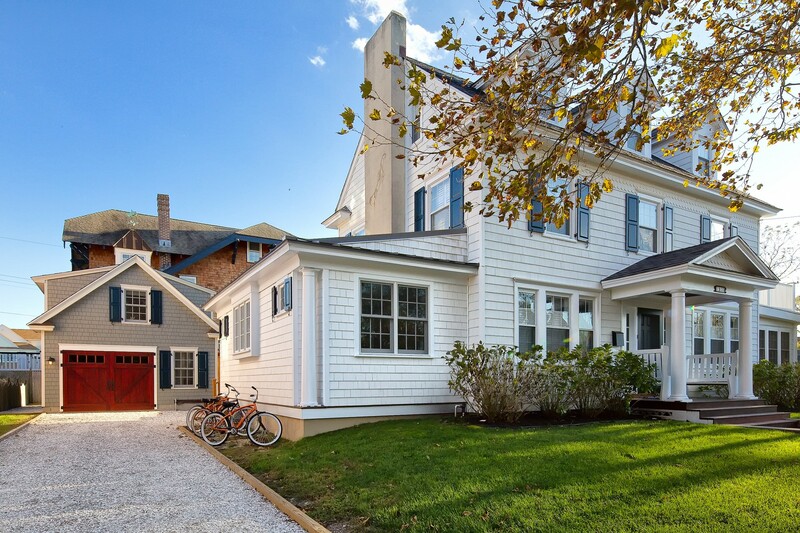 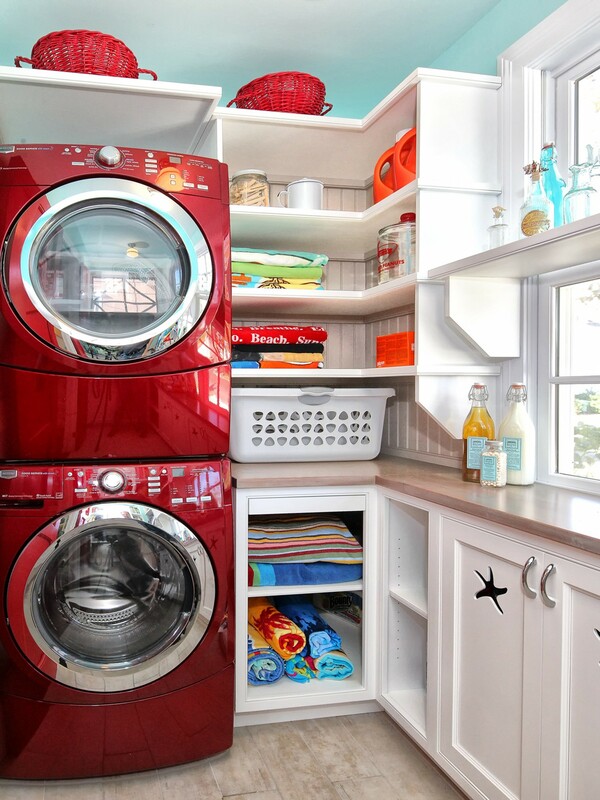 A new detached garage with custom carriage doors and storage above hold loads of beach toys. 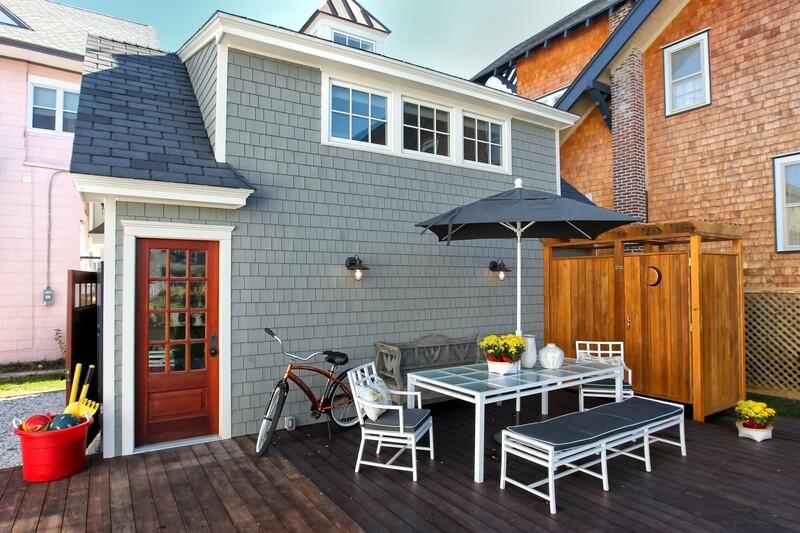 An oversized mahogany deck links the garage and kitchen and the exterior has shingle siding and a slate type roof.